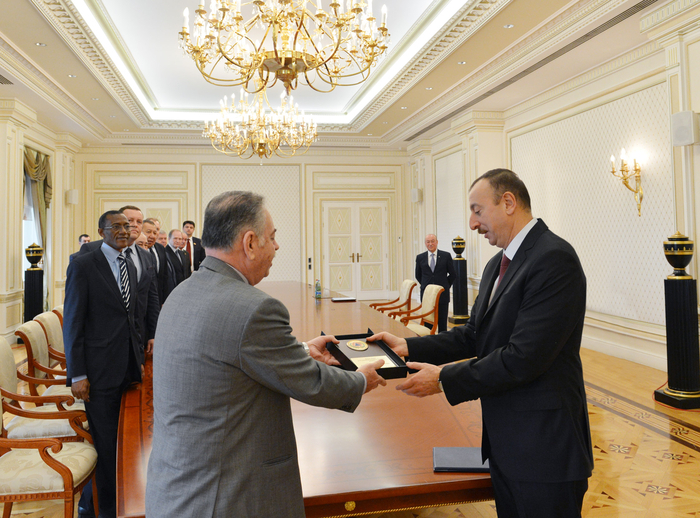 President of Azerbaijan Ilham Aliyev has today received the participants of the international conference on 'Civil Defense and preparation of civil societies for disaster risk prevention', which was organized by the Ministry of Emergency Situations of the Republic of Azerbaijan in cooperation with the International Civil Defense Organization (ICDO) in Gabala. 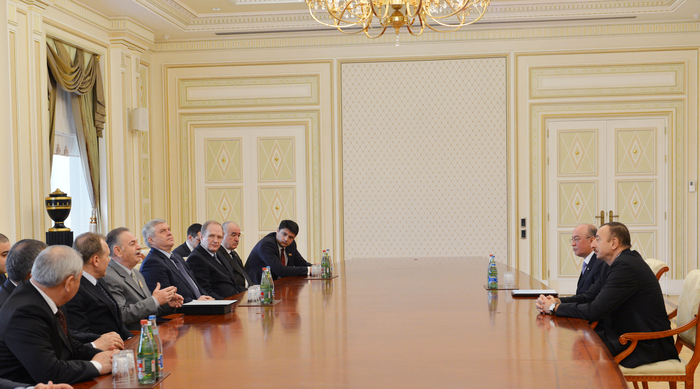 The President underlined the importance of cooperation among organizations from different countries. He described the organization of the conference as the important indicator of this cooperation. He found the need for emergency response organizations to support each other. 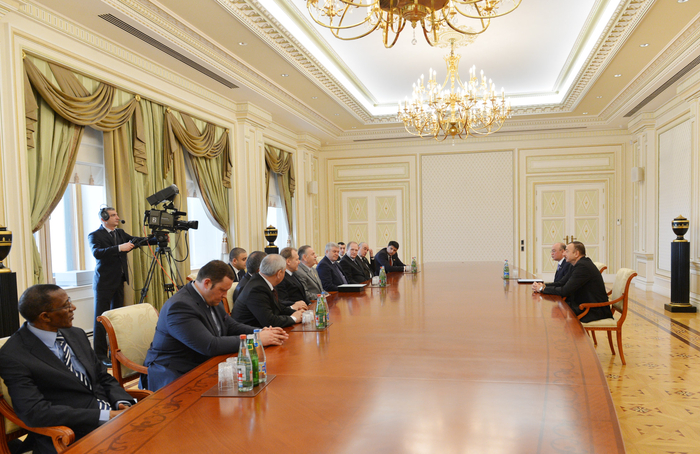 The Head of State noted the emergency ministries perform a very important task in terms of elimination of disaster consequences. He said that preparation of civil societies for disaster risk prevention is an important factor. The Azerbaijani leader said tens of thousand of people were made homeless as a result of the floods and quakes with 100 hectares of land left under water during a couple of years. The Ministry of Emergency Situations responded effectively by relocating residents to temporary shelters where they were provided with medical and other services. The important thing is that there were no casualties. The flood destroyed over 3 thousand houses, many schools and other facilities. Many houses, social establishments were built shortly after the flood. The construction process is in progress. The Head of State underscored the importance of the concerted efforts of respective organizations in disaster mitigation. 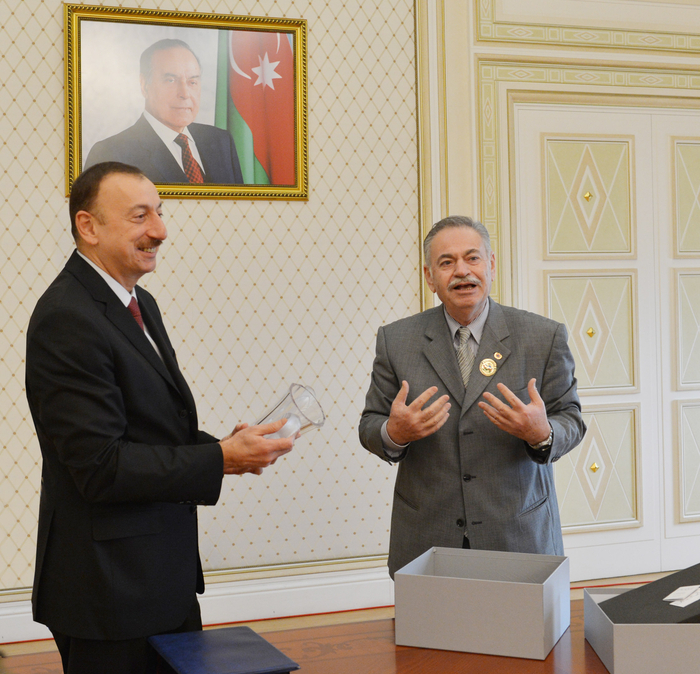 The Azerbaijani leader noted the main aim of establishment of the Ministry of Emergency Situations was to respond to disasters and provided relevant assistance to neighboring and friendly countries, adding the Ministry took an active part in rescue, rebuilding operations in a number of countries. Nawaf Al-Sleibi, ICDO Secretary Genera thanked the President for the warm welcome. He said the participants witnessed rapid development in the country. The Secretary General underlined Azerbaijan had created the best model of an emergency ministry, highlighting the need for using this experience. He said ICDO actively cooperates with Azerbaijan, adding the conference held in Gabala is a good opportunity for exploring opportunities for cooperation.